Bhakra Dam is the largest dam in India. Dam’ height is 225 meters and it spreads across 168.35 km2. Bhakra Dam is the second tallest dam in Asia. The length of dam is 518.25 meter(1,700 ft) and it’s width(crest) is 9.1 m(30 ft).The 90 km long reservoir created by the Bhakra Dam is spread over an area of 168.35 km2. 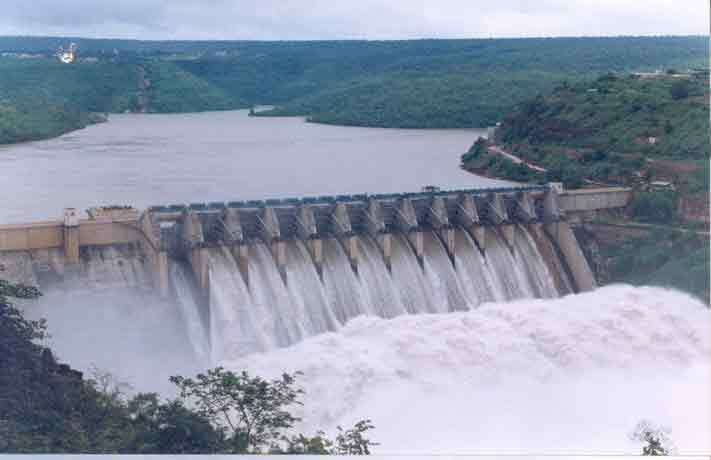 In terms of storage of water, with the capacity of 9.34 billion cubic meters(km3) it withholds the third largest reservoir in India, the first being Indira Sagar dam in Madhya Pradesh with capacity of 12.22 billion cubic meters and second Nagarjunasagar Dam with 11.56 billion cubic meters. The dam is located in Bhakra village district of Himachal Pradesh. It lies between 31° 24′ 39″ N, and 76° 26′ 0″ E. Bhakra dam is 15 km from Nangal city and 20 km from Naina Devi town. Bhakra Dam is a multipurpose dam. The Construction of the dam started in 1948. The construction of the dam was started by Sir Louis Dane, the then Lieutenant Governor of Punjab. Successive stages were completed by the early 1970s. In October 1963, at the ceremony to marking the dedication of the Bhakra-Nangal Project to the Nation, Prime Minister Jawaharlal Nehru said, “This dam has been built with the unrelenting toil of man for the benefit of mankind and therefore is worthy of worship. May you call it a Temple or a Gurdwara or a Mosque, it inspires our admiration and reverence“. The dam mainly aims to provide water for irrigation. Second aim to build dam was to preserve rain/mansoon water so that it is used for irrigation purpose. Bhakra dam provides irrigation water to Pujab, Haryana and Rajasthan. Dam has four flood gates to control flood water. Bhakra and Nangal dams house hydroelectric power generators, which are situated on both the sides of the dams. There are two power houses with a total capacity of 1325 MW. The power generated is supplied to Punjab, Haryana, Rajasthan, Gujarat and Himachal Pradesh . Bhakra dam is the fourth largest dam in India after Tehri Dam. It attracts a large number of tourists who visit its reservoir and attractive location. However, for security reasons, visitors to Bhakra-Nangal Dam has been banned since 2009. 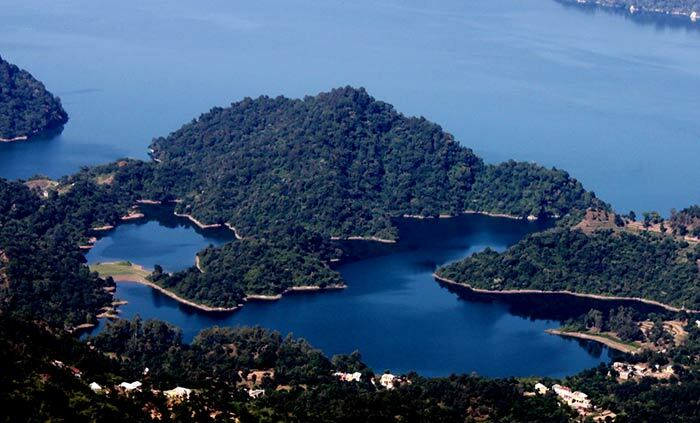 The reservoir of the Dam, Gobind Sagar, homes fish of different species including endangered Mahseer. Commercial fishing by Local fisherman is also common in Gobind Sagar. Bhakhra dam has regular bus routes and taxi services from it’s surrounding cities. Nearest airport is at Chandigarh.